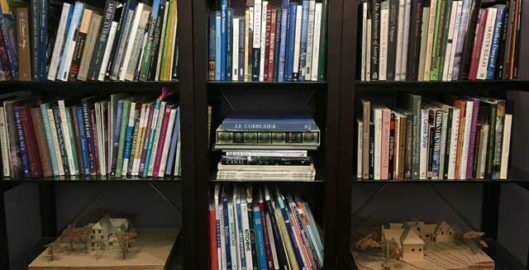 Recently I began a series I’ve called “The Year of Architectural Understanding.” When I started to write the first essay in the series (about architectural styles and building terms) I began my process in my office in my personal architectural library. As I paged through my favorite volumes I lamented the lack of BOOKS (yes, real paper books) in so many offices and professional lives. 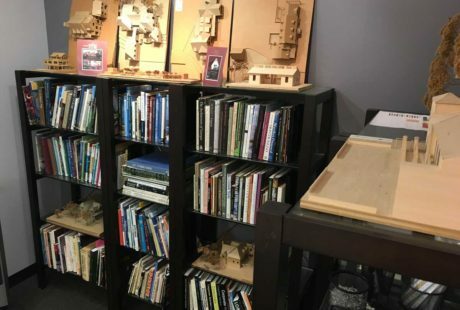 During my architectural education I learned to love spending hours in the Architectural and Design Library at Virginia Tech. When I began my career in Boston some 37 years ago, one of the things I first looked for in the firms I visited were libraries. A firm without a library, or only a “technical library,” was soulless. I could not imagine it. Curating my own library has been a passion for me ever since. I have to admit that these days only a few of us seem to enjoy the experience of getting away from our desks and computer monitors to lose ourselves in paper images and bindings. But I love it. 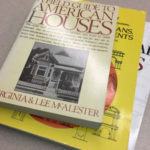 I know that there is Houzz.com and surely any topic or image can be researched with Google but, for me, there is something special about a book. Pulling out books and coming upon topics that I perhaps was not even looking for (surprise!!) or rediscovering a favorite forgotten book or sketches from an important architect, perhaps no longer “in vogue,” are all pure bliss. 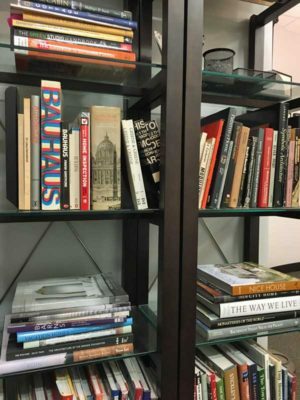 I would hope that all firms, even small ones such as mine, still invest in fabulous libraries full of real books about architects, architecture, art, graphics and design. But alas, I wonder. Have design libraries gone the way of drafting, sketching and lettering? Everything written or drawn by Sarah Susanka or Francis Ching are classics!! Alvar Aalto: Synopsis – Painting, Architecture, Sculpture; any books on the works of Le Corbusier, James Stirling, Frank Lloyd Wright, Aaldo Rossi, Robert Stern, Mies Van der Rohe, Carlo Scarpa, Mario Botta or Richard Meier; and the classic and revered treatise from antiquity, Vitruvius’s The 10 Books on Architecture. Wonderful Essay!!! It made me get down on my knees and sit on the floor at the foot of my own architectural library! Sigh… so many books, so little time!